When I first met Kyle one of the very first things she said to me was, my group is crazy do you think you will be able to handle them? I smiled because after 7 years in the business I have thought I've seen it all especially after working with wedding parties of 22 plus people. I will say after attending Kylie and A.J's wedding, Kylie definitely lived up to her reputation as the "BEST party haver, ever!" 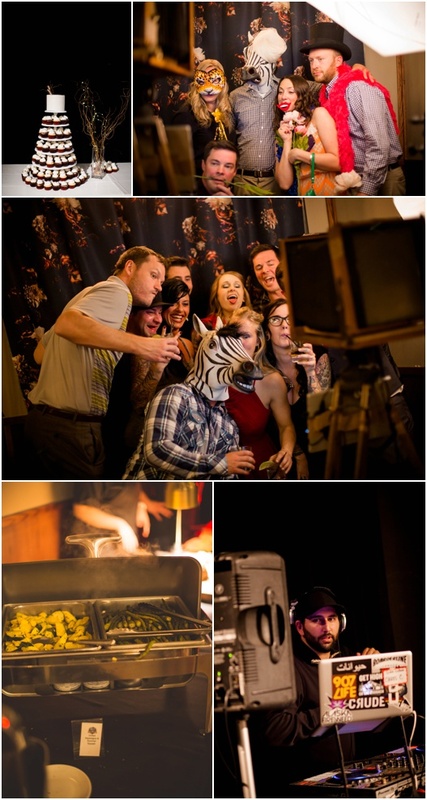 Her wedding was nothing less but one big celebration, I mean PARTAY! Kylie and her bridesmaids started their early afternoon prepping for the day in our bridal suite, which is available for rent starting January 2018. Next, we walked around what I call "The G Street Block" and captured some bridal and bridesmaids portraits around Downtown on the way to the wedding venue, The 49th State Brewery. The groomsmen and groom got ready at the Hotel Captain Cook and did a walk-a-bout Downtown and stopped for a ice cold beer at McGinleys Pub where they met up for the ceremony after. 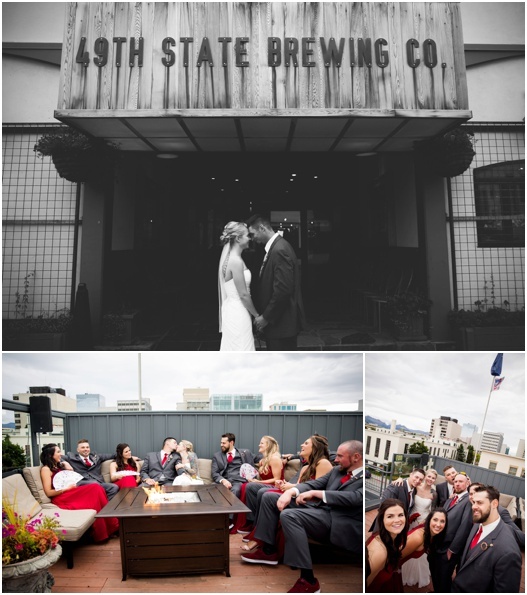 The ceremony took place at the very top roof top of The 49th State Brewery where the views were amazing. Guests sipped on lemonade and had views of The Sleeping Lady, Chugiak Mountains, Downtown Anchorage and The Cook Inlet as they waited for the start of the ceremony. Reception took place in the main banquet room at The 49th State Brewery and the Bride and Groom hosted their own full bar with a couple of special drinks including Moscow Mules and Old Fashioned's. 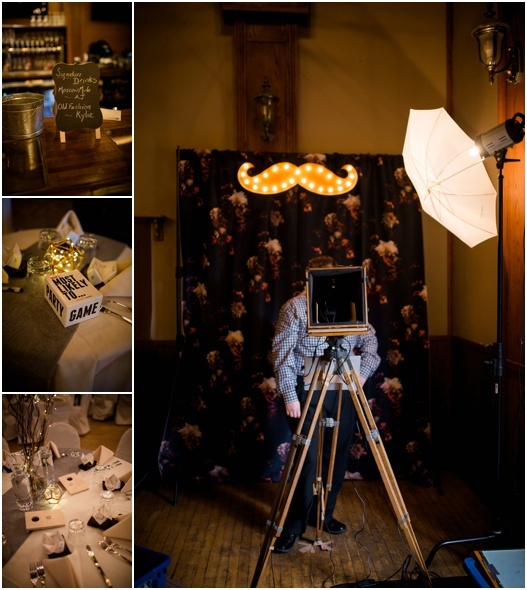 Decor included modern geometric shapes, twinkle lights, fun adults drinking games and paper fortune tellers that read fun "Duby fun facts". Check out our last wedding of 2017, we will be working backwards in catching up on the blog!